development; on working together to create our communities; and on strengthening all of our families to build our future together. Government has decided to spend $4.1 million to fix the uninsured AMI stadium (was Lancaster Park then Jade Stadium) pitch. This was clearly a higher priority than helping the 774 uninsured homeowners declined assistance last September and told they ought to be insured. Other possibilities for the money include helping the 10,000 families who are having their homes demolished; helping the 100,000 with repairs; helping the 158,000 people with no access to sewerage; helping redundant workers ; or dealing with the impact of rest home closures on both the staff , and the residents . Maybe it could simply fix the track at QEII where Canterbury children would normally be having their inter-school-sports and the City to Surf having its end of race community party. Yet Government has chosen to bail out stadium owner V-Base, who remained uninsured despite an insurance company having naming rights, and the insurance being relatively inexpensive. What is going to be paid for in Canterbury, how it will be paid and who will make the decisions are underlying issues here. Government has granted itself wider powers than those following the 1931 Napier earthquake . Add to this Government replacement of the Canterbury Regional Council with Commissioners who have “sweeping … powers that by-pass the Environment Court.” Then add the “legislation for a new "centralised" body to oversee the rebuilding of Christchurch.” Finally, add Prime Minister Key saying this will give the Government "stronger, more direct control" over the process, and Gerry Brownlee’s rationale that Government is going to be paying most of the bill more. What you get is a significant threat to democracy, and Government implying Cantabrians are they are less capable of making wise decisions about their own destiny than central government. All this just when Cantabrians could probably do with a bit more control over their own lives. Meantime, the rest of us are in this too. Not on the agenda is a taxpayer levy to rebuild Canterbury, even though the Australians did it with their floods. We need $5 billion. The Greens have pointed out that a levy of $6.33 per week on income between $48,001-$70,000, and $23.59 per week levy on income above $70,000, with no change needed to the corporate tax rate of 30%, would raise $1.026b a year. It could be paid for in 5 years. Government argues such a levy might undermine the recovery, so they intend to potentially undermine New Zealand sovereignty by borrowing the $5 billion, not to mention the $255m per year servicing cost. Shame really, when such a levy could be a wonderful opportunity to not only share the burden, but also reduce inequality and reap some of the benefits accompanying greater equality. Both Children’s Commissioner, John Angus and Public Health Association leader, Gaye Keating suggest some of the planned welfare reforms violate human rights as they discriminate according to source of income . Keating’s presentation at Otago University’s Wellington School of Medicine looked at welfare reform in light of our international obligations towards children , the WHO Closing the Gap in a Generation report, and the PHAC’s Best Start in Life publication. Wellington Women's Refuge tells us "many of the families they assist every year - 20,000 across New Zealand and nearly 840 in Wellington, are supported onto benefits as an interim step, and limiting their financial options will mean fewer women are able to escape a violent relationship." The refuge says domestic violence in New Zealand accounts for : 39% of all homicides,42% of all kidnappings and abductions, 44% of all grievous assaults, 64% of all serious assaults, 34% minor assaults identified as family violence (Police NZ Statistics from Family Violence Clearinghouse) more. How will government approach welfare reform? See Garrick Tremaine’s view here . But is ‘It’s Not OK’ not ok? The Government's "It's Not Okay" campaign may be axed to provide $11.5 million for the Whanau Ora programme, according to Simon Collins in the New Zealand Herald. 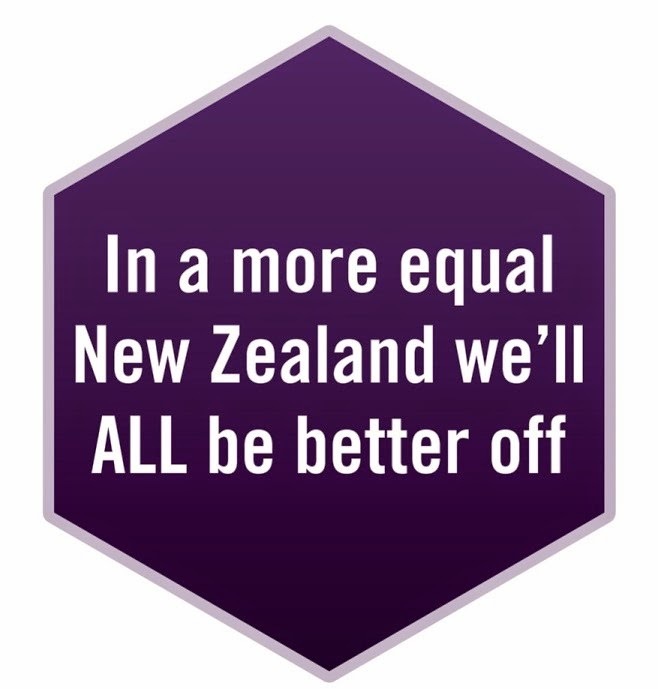 Supporters of the idea are reported as saying the present delivery model is not working for Māori and / or seeks to help individuals rather than keeping the family together. If there is a problem, then it is best to define the problem and then devise good solutions. Cutting an effective campaign is not a good solution. Late last year, the Families Commission cited evidence the ‘It’s Not Ok campaign’ is having a positive impact . NZCCSS is concerned the ‘It’s Not Ok’ campaign has resulted in changes in public attitudes towards family violence. This is illustrated by demonstrated by the raised number of notifications received by Child Youth and Family, and the increased number of family violence reports made to Police. The Child Advocates and Te Rito Coordinators have been at the forefront of developing the joined up approaches known to be the most effective and efficient method of providing support. If the funding goes, then tragedies that arise from uncoordinated support will become more likely. Te Kupenga Whakaoti Mahi Patunga / The National Network of Stopping Violence Services is calling for people to use media, contact with their communities and write to MPs, Cabinet Ministers and Tariana Turia about the impact of losing the funding for the Te Rito Coordinators and Child advocates. Contact brian.gardner@nnsvs.org.nz for more info. Careerforce supports education and skill development in New Zealand’s health, disability and aged support sectors. They advise improved Foundation Skills (Level 2) and Core Competencies (Level 3) qualifications will be available later this year. Proposed changes can be found here. Both qualifications are pending NZQA approval. Australians are calling on their government to deploy appropriate smart technology for ageing-in-place to ensure: "a healthy, safe, secure and fulfilling future for the increasing aged population … by enabling them to remain at home longer, by easing the strain on the national healthcare system and providing cost effective solutions to meet the needs of the growing number of elderly Australians.” Here in Aotearoa New Zealand, the New Zealand Aged Care Association is calling for aged care residential contracts to allow consumers the choice of premium-only facilities. This could result in long-term in cash-depleted residents being evicted or the less well-off older being unable to find a facility. Public submissions are being called on Bail in New Zealand: Reviewing Aspects of the Bail System. Proposals include: widening the offences for which a reverse of the burden of proof applies for bail to include drug offences and murder; continuing to allow electronic bail for some offences; removing the preference to bail defendants aged 17 to 19 who have previously served a prison sentence; and legislating so bail cannot be granted in return for information. Submissions close on May 15 more. Euthanasia Debate: A one-day conference for politicians, health professionals, educators and managers, carers, policy writers, advocacy groups, etc Friday 8 April 2011 at Te Papa, Wellington. Register here . Victory Village Forum , Nelson. 27-29 April 2011. An opportunity to join an extended national conversation and dialogue, bringing together school and community leaders and practitioners, and representatives from local government, central government, support agencies, service providers, philanthropic organisations and NGOs about generating thriving communities. Collaborative governance seminar featuring learnings from overseas and New Zealand experience. Tuesday 29 March 2011, Ministry of Social Development, Wellington. Email ocvs@dia.govt.nz phone: 04 494 5710 by 24 March 2011 for a place. Tatau Kura Tangata: Health of Older Māori Chart Book 2011 presents a snapshot of the health of Māori aged 50 years. Info for and by Canterbury NGOs on current location, operational status, assistance needs or offers of assistance to other organisations. Mental Health Following Earthquake Disaster - info from the Royal Australasian College of Physicians.